Techatticup Mine. Eldorado Canyon, Nevada. The picturesque stands of weathered buildings and colorful rusted cars will make you pull over. Except there’s a good chance it’s already your destination, this place spun far off the Las Vegas drag 45 hot desert miles to the north. It’s not a place you just happen by. 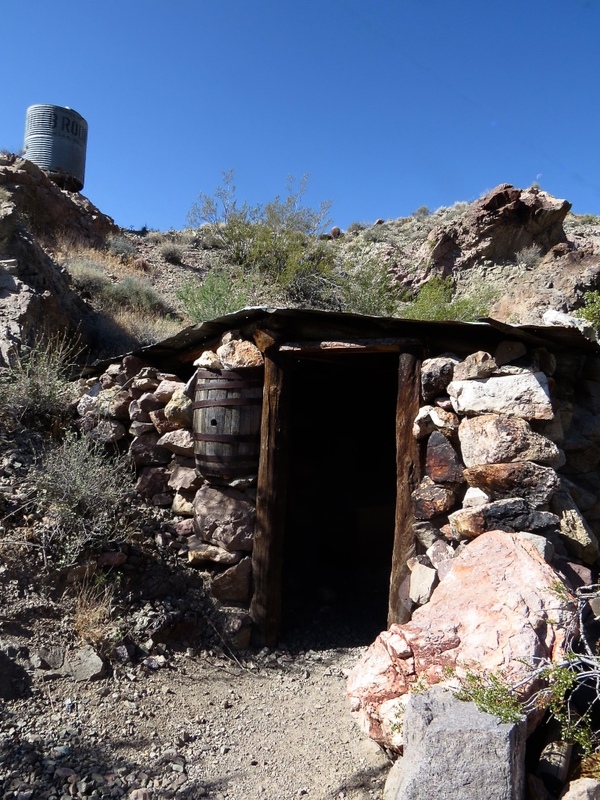 The Techatticup Mine lies in a tucked away corner of Southern Nevada, spitting distance from Arizona. Eldorado Canyon is a corridor spilling to the Colorado River that was once known for its rich gold veins. Today the Techatticup Mine is ghost town, open-air museum, and roadside attraction all rolled into one. When the mine dried up in the 1940s, it wasted away until 1994 when current owners Tony and Bobbie Werly bought it and the surrounding 50 acres. Ancient history began here with the pre-Paiute basketweavers. They were followed by Paiute and Mojave tribes, the main inhabitants of the canyon until 1775 when the Spanish arrived in a conquest for gold. Although the Spanish named the canyon after the gold they hoped to find, and gold was abundant here, they only managed to turn up silver and eventually abandoned the site. Across the west the 1850s brought a mad rush to leave no stone unturned and prospectors made their way to the gold in Eldorado Canyon. Because of the area’s remoteness, the word didn’t spread until 1858 when steamboats began traversing the Colorado River. As news got out miners flooded the area. The Techatticup and Queen City mines were discovered in 1861. In an area dotted with mines, the Techatticup would turn out to be one of the richest in pre-Nevada. Eldorado Canyon was Arizona territory, not even a state when it became notorious for its lawlessness and violence. Think Deadwood without a level-eyed Timothy Olyphant as sheriff. Its limbo status as pre-Nevada attracted Civil War deserters who joined the flood of prospectors and miners setting up camp in the canyon. Gunfights and killings between civil war factions as well as vicious mining disputes caused Eldorado Canyon to be a notoriously violent place. The closest law was in the town of Pioche 200 miles to the north. Lawmen skirted the area, and a vigilante system ruled the day. Eventually Camp Eldorado, a military camp, was established to protect steamboat traffic on the Colorado as well as stave off Indian attacks. Ahvote and Queho, two notorious renegade Indians, were responsible for many Indian killings. Ahvote goes down in local history with five victims to his name while Queho is said to have committed 20 killings. According to local history, Queho’s last victim was Maude Douglas in 1919. Sheriff’s posses never caught Queho alive. Remains thought to be his were found in a cave in the canyon in 1940. By 1920 Nelson’s Landing at the mouth of the canyon was a successful Colorado River port. It gained in popularity during Prohibition. 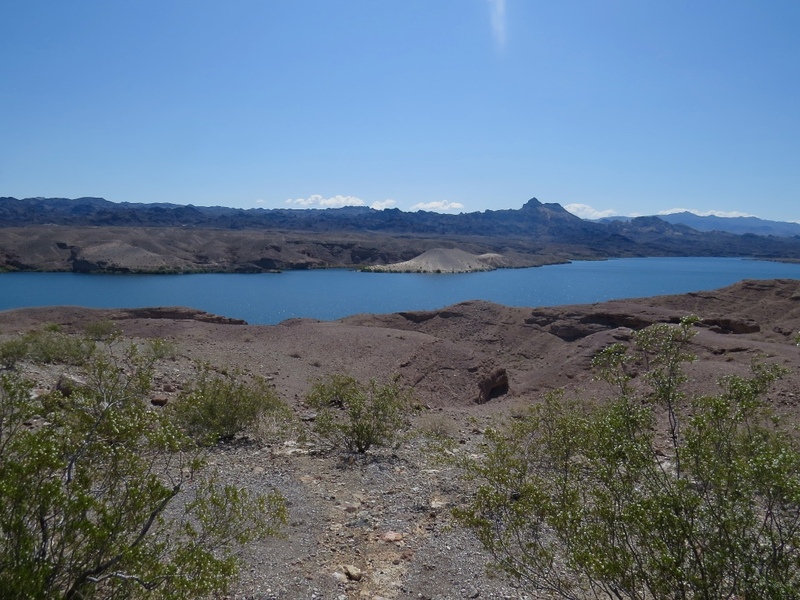 By then the dividing line between Arizona and Nevada was the Colorado River. Arizona strictly enforced Prohibition-era law, but true to its permissive attitude today, Nevada did not. Understandably, Nevada did a brisk trade across the river in cheap moonshine. After Prohibition Nelson’s Landing gained popularity as marina and resort until the 1970s when it was washed out by a flash flood. The Techatticup Mine operated until the 1940s. 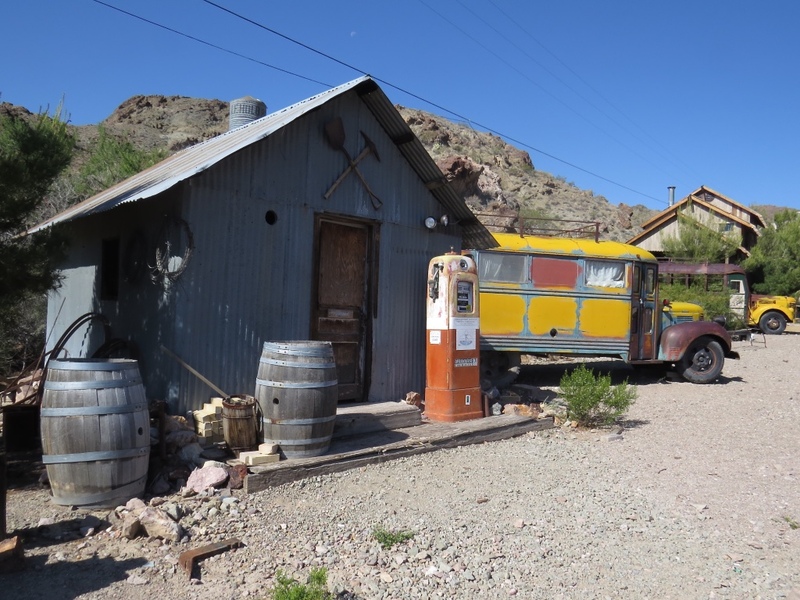 To explore the Techatticup Mine is to explore a parcel of the Wild West without the spectacle of noontime gunfights and bordello fashion. 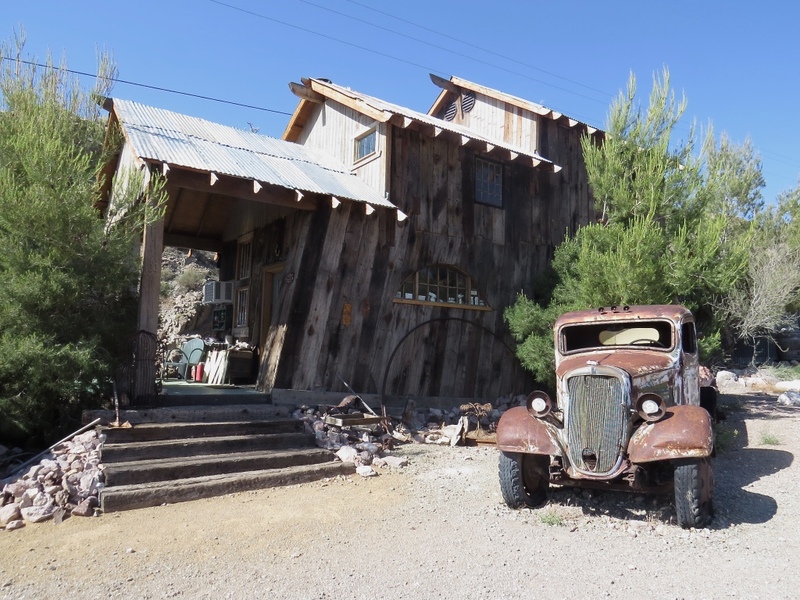 Desert explorers, photographers, adventurers, and curious visitors can wander the seasoned buildings of the private property, and there are also underground mine tours. As it turns out, visitors don’t need saltwater taffy or old timey photo booths (not that there’s anything wrong with either of these things). The effect of the Techatticup Mine is one of “arrested decay” even if it’s clear that some of the elements have been brought here. 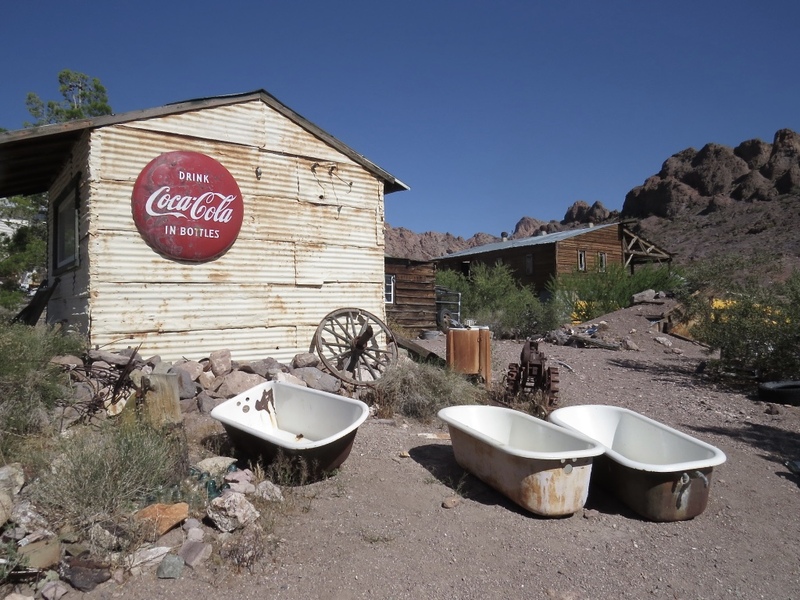 It’s a repository for desert detritus—signs, bathtubs, cars, dinnerware, old soap—nothing is too mundane. Here it takes on magical properties. Props from old movie sets including a wrecked plane from the 2001 crime movie “3,000 Miles to Graceland” signal that desert history comes in layers. It’s all piled up here like a casserole. As for the other vicious casualties of Eldorado Canyon’s dark history, the Hell Dogs of Eldorado Canyon, l might only recommend you avoid exposed mining shafts at night.